Published on October 14, 2017,	by admin in Adventure. I moved to Cherry Creek today. 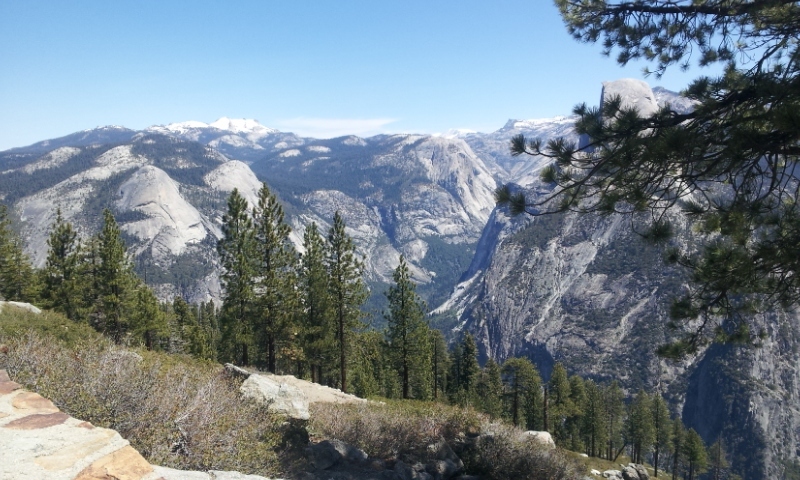 This area of dispersed camping is a lot nicer than Thousands Trails. There are only a few other RVs parked here so it is a lot quieter and cleaner. My friend John has been here for a few days and it was nice to hook up with him for a good visit. We will probably go walking tomorrow morning for some exercise. 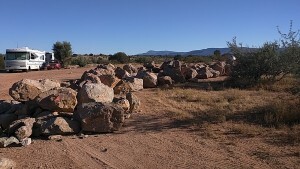 Hauling in boulders to close areas down. 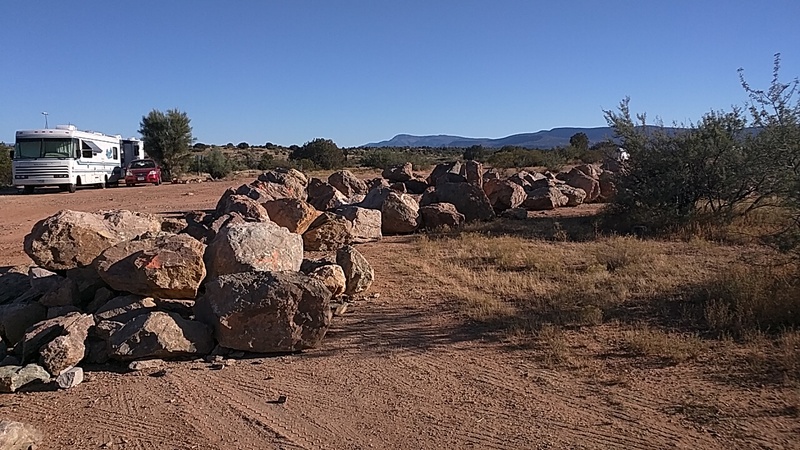 The officials around the Sedona/Cottonwood/ Camp Verde area are closing some of the dispersed campsites down. It’s probably a combination of reasons why they are trying to move people out, but it usually comes down to a few people that spoil it for the rest of us. This area seems to be a magnet for the homeless. A few years ago, homeless people were living in the Walmart parking lot and a confrontation actually ended in shots fired. The Walmart quickly put an end to any overnight parking. 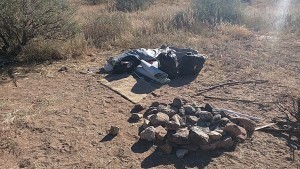 Trash left this morning by someone living in a tent. 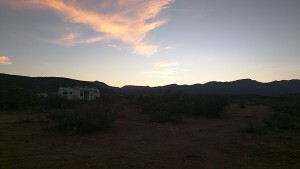 The campground by Thousand Trails has also become a haven for degenerate types. All around the desert is trash left by people that are stupid or that just don’t care. Abandoned tents, pieces of junk RVs, broken chairs, and bags of garbage are just some of what litters the camping area. I’m sure the RV parks in the area don’t like to lose the business, and some people don’t like the idea of even seeing RVs parked in a tourist area of scenic red mountains, but you can hardly blame the Forest service for moving people out that make a mess and destroy the land. Yes I remember you telling me about the camping on the road near the Prescott side of Cherry. One day last year I rode my motorcycle all the way to Cherry and back. The mountains are really high up there!